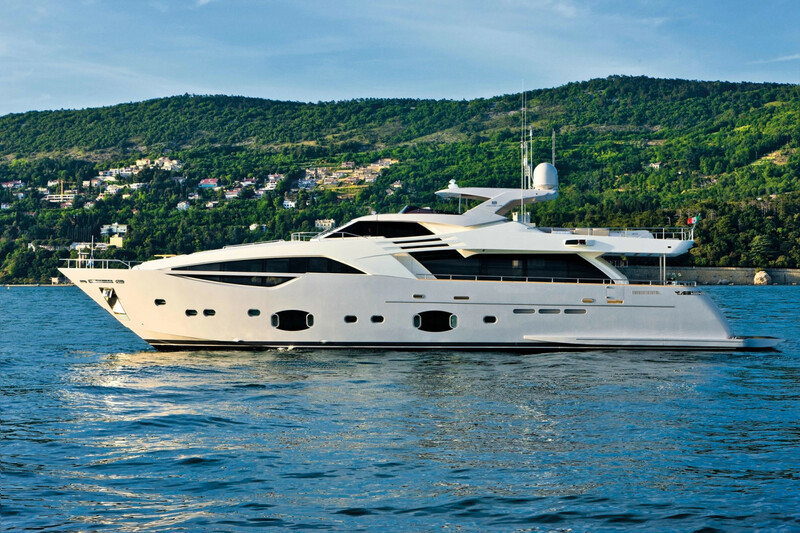 The modern exteriors lines of the Ferretti Custom Line 100’ are eye-catching and give this yacht a very sporty profile, while its interiors are furnished with maximum refinement, the perfect balance between comfort and casual. 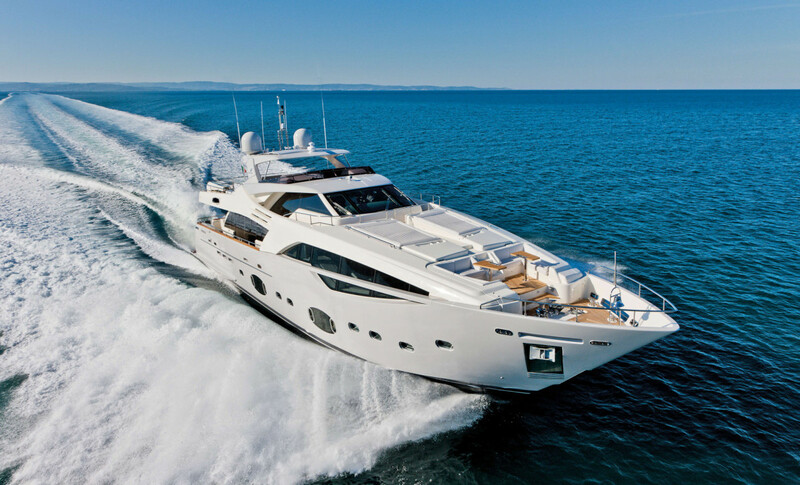 The Custom Line 100’ debuted in Cannes in September 2011, winning the ‘Best Layout’ award in the Flying Bridge category over 24 metres. 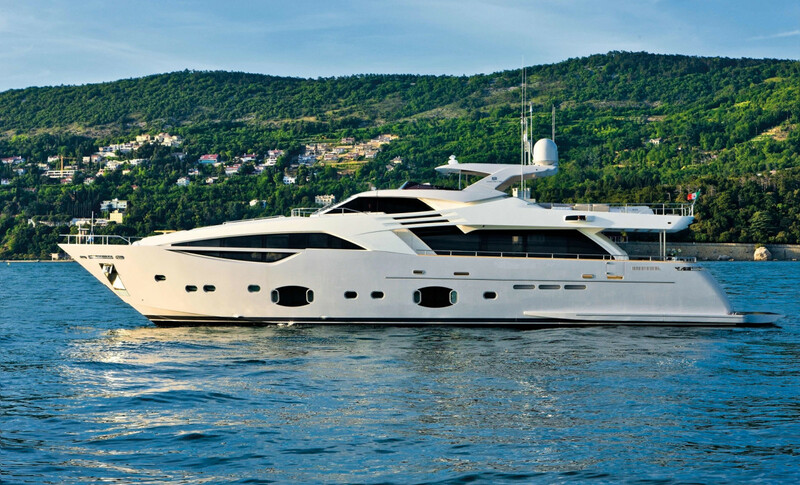 In 2012, this model won another award: ‘Motor Boat of the Year 2012’ in London, in the ‘Custom Yacht Award category’. 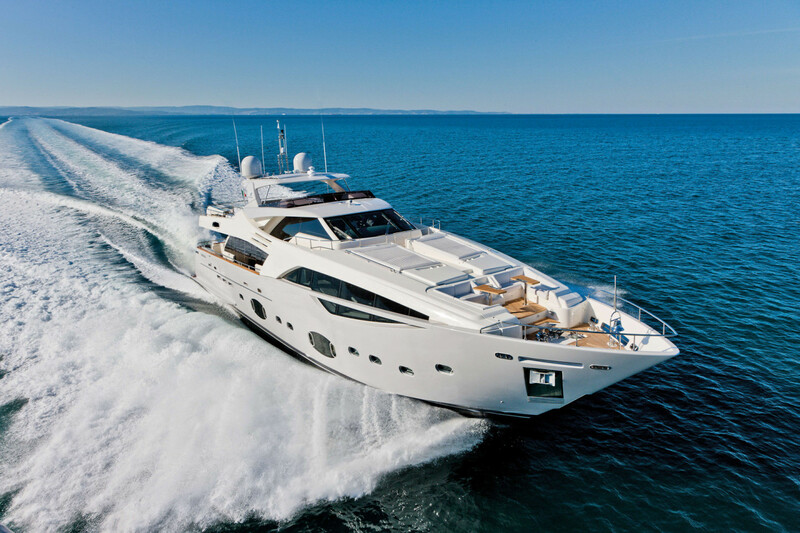 This latest recognition was assigned by Ipc Media, which each year picks the boats with the most exclusive design, excellent performance and innovation cutting-edge technology. 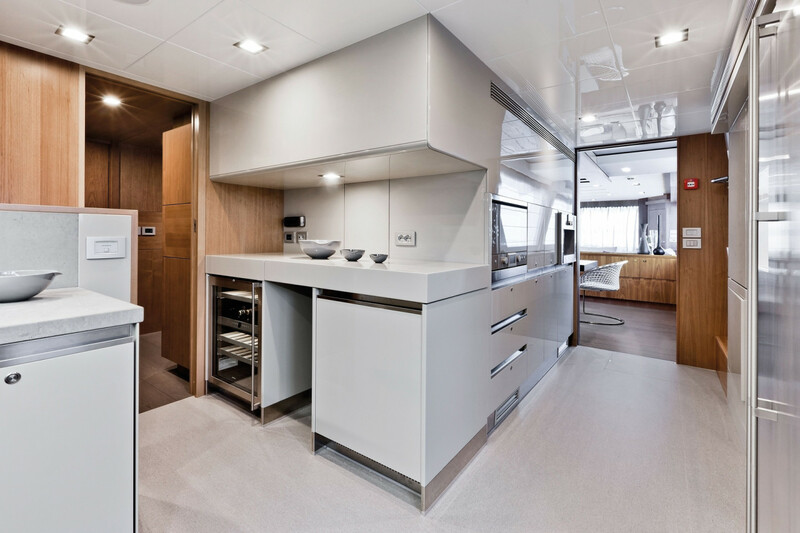 For the luxury sporty Custom Line 100’, Arclinea has designed the Convivium model with glossy pale grey lacquer finish on request and light quartz worktop. 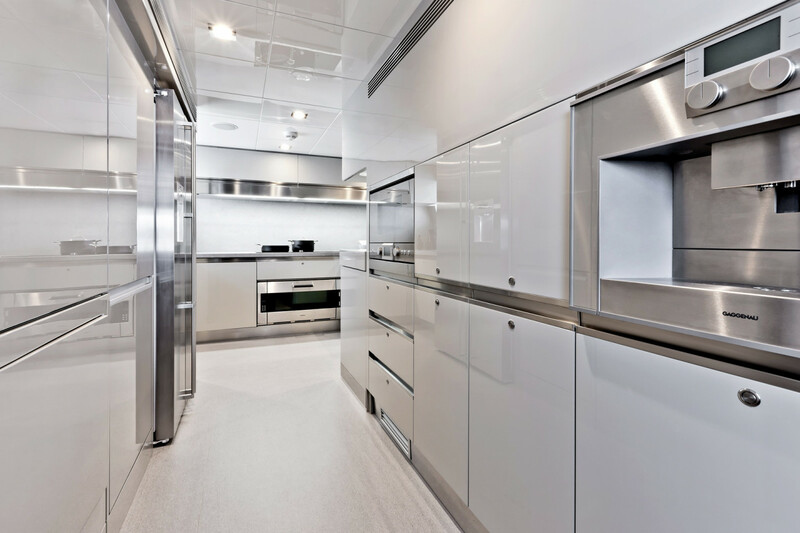 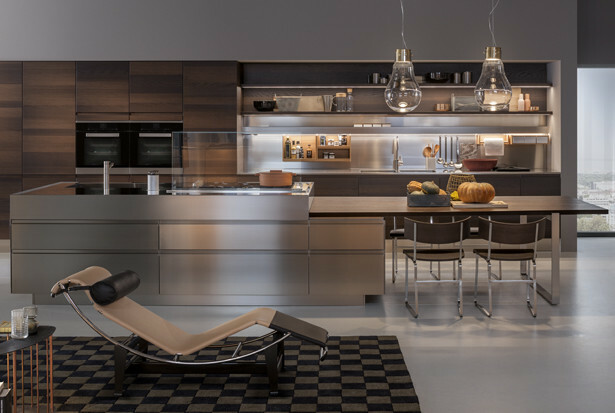 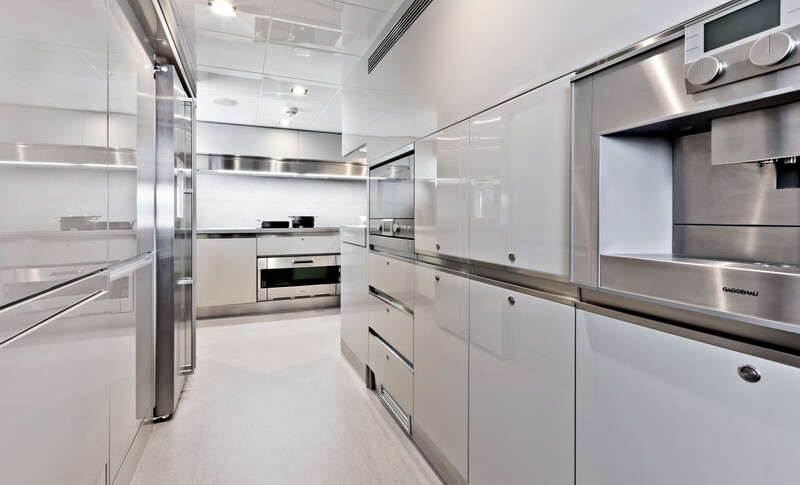 Special options in this Arclinea layout include a bio waste disposal and compactor unit and stainless steel Artusi canopy shelf with remote extraction. 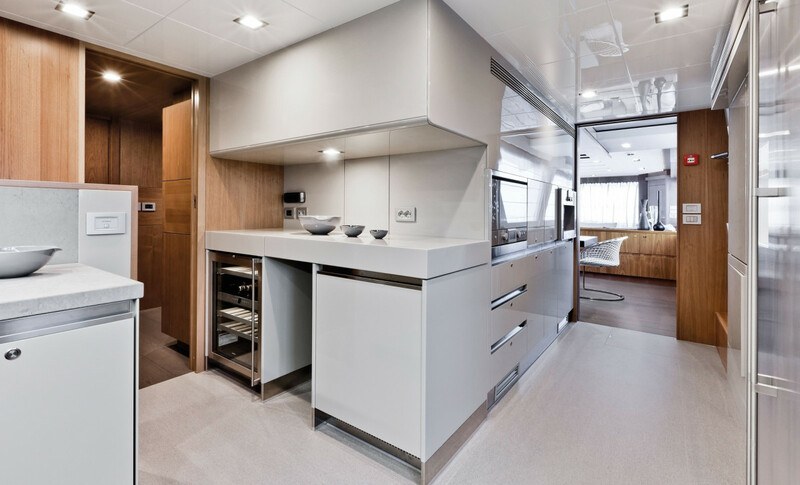 A pull-out shelf giving easy access to the technical appliance space has been fitted above the wine storage unit and undertop refrigerator.